Last Sunday — for no reason other than macabre fascination — “06880” featured astonishing footage of a long-forgotten 1912 Westport train wreck. Seven people died, and 50 were injured, in what remains one of the worst disasters in local history. Turns out that was not the only rail tragedy on our tracks. 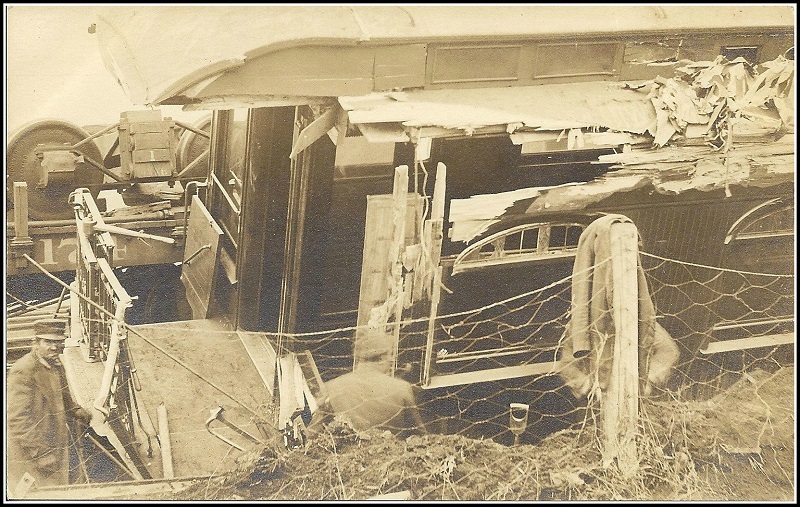 On November 16, 1912 — barely a month after the Saugatuck crash — another New York, New Haven & Hartford train went off the rails. This one was 2000 feet from the Green’s Farms station. It was not as bad as the earlier accident. The engine and baggage car of the Merchants Limited Express safely passed a crossover switch. But 4 steel cars were not as fortunate. The New York Times account 2 days later does not mention any deaths or injuries. Alert “06880” reader Seth Schachter provides these images, from a collection he’s amassed over the years. 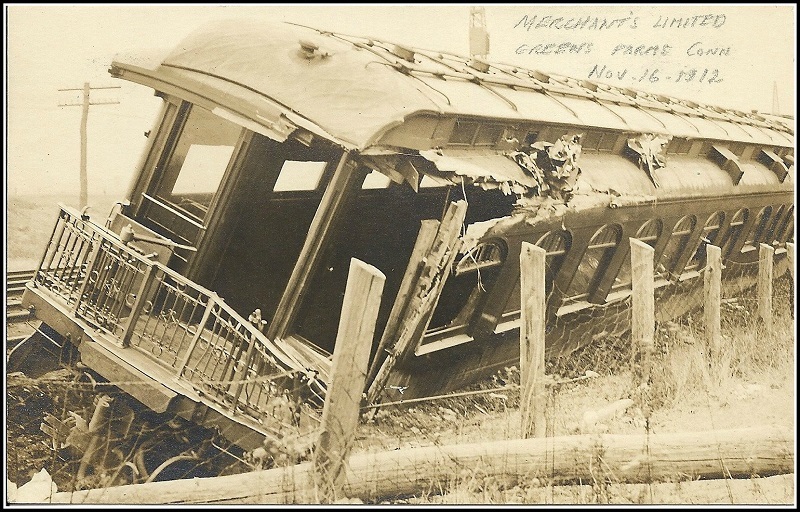 A long view of the Green’s Farms train wreck. Another angle — this one with onlookers. A close-up of one of the shattered cars. 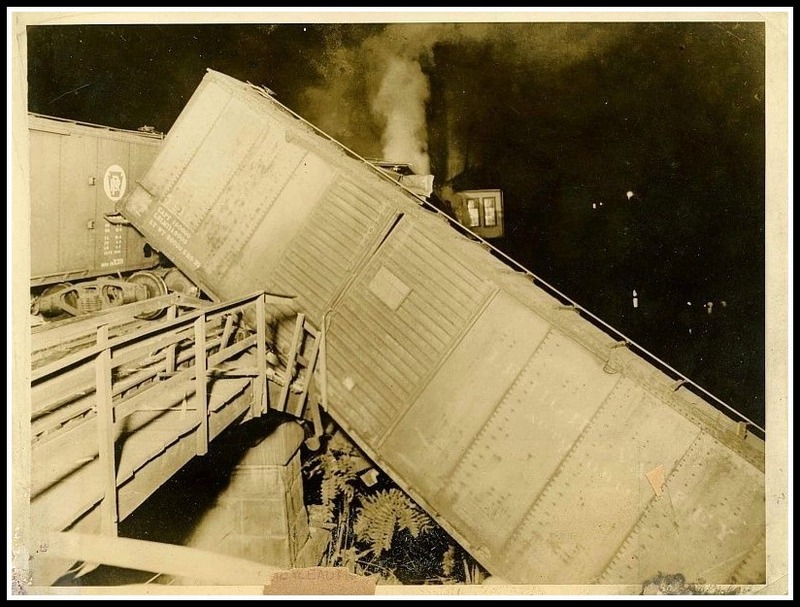 Two decades later — in the early morning hours of September 27, 1935 — 2 freight trains collided. Engineer John Sheehan burned to death, as his cab hung precariously over the Saugatuck River. 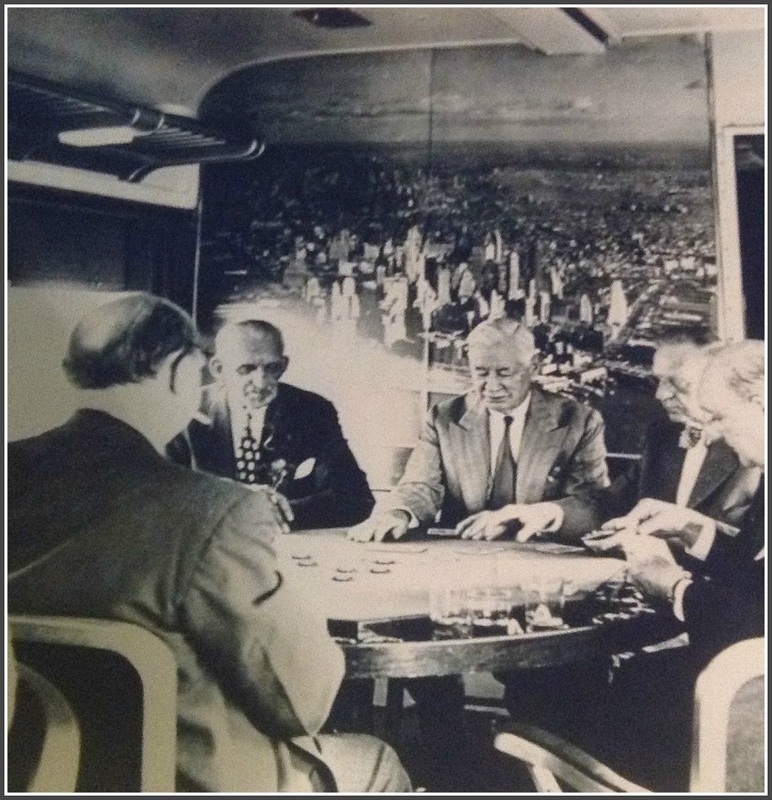 Seth Schachter also provides these photos, from his collection. 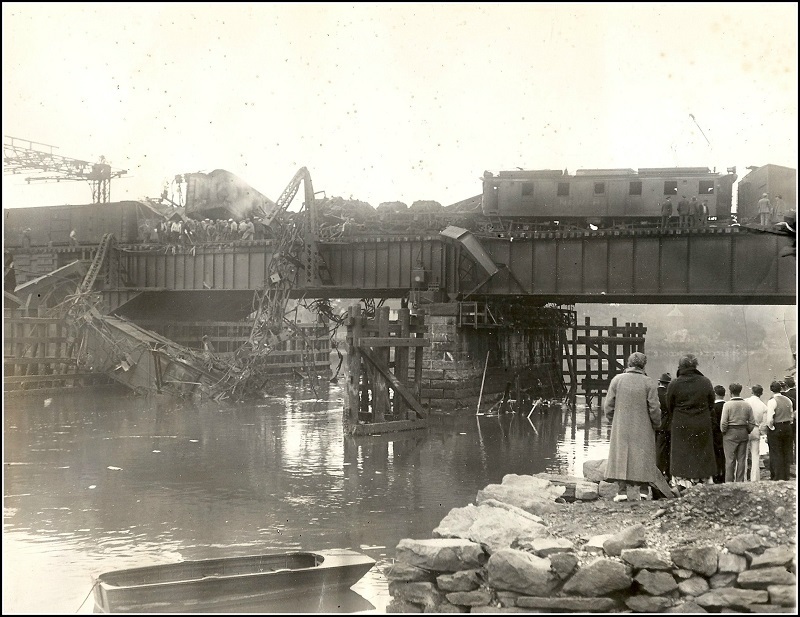 Westporters gather on the banks of the Saugatuck River, following the 1935 crash. 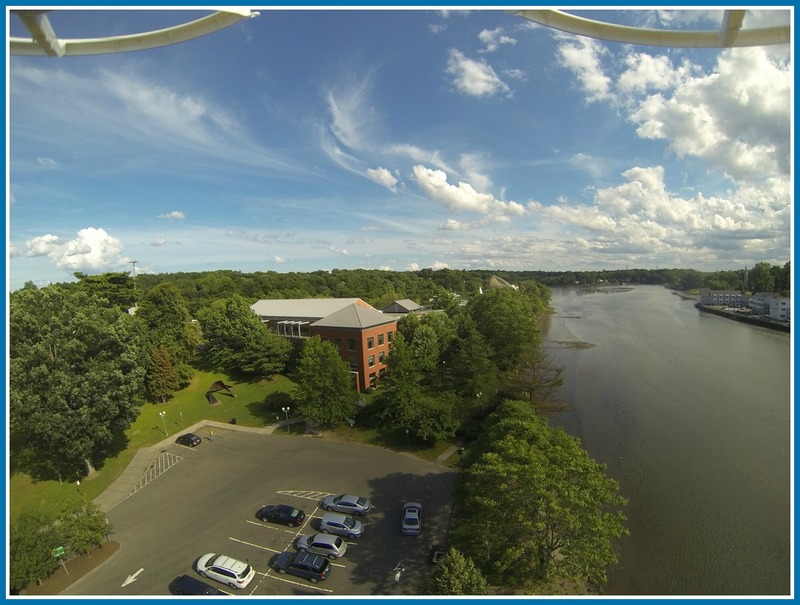 The engineer’s cab dangles over the Saugatuck River. “Train wrecks of yore” will not be a recurring “06880” feature. 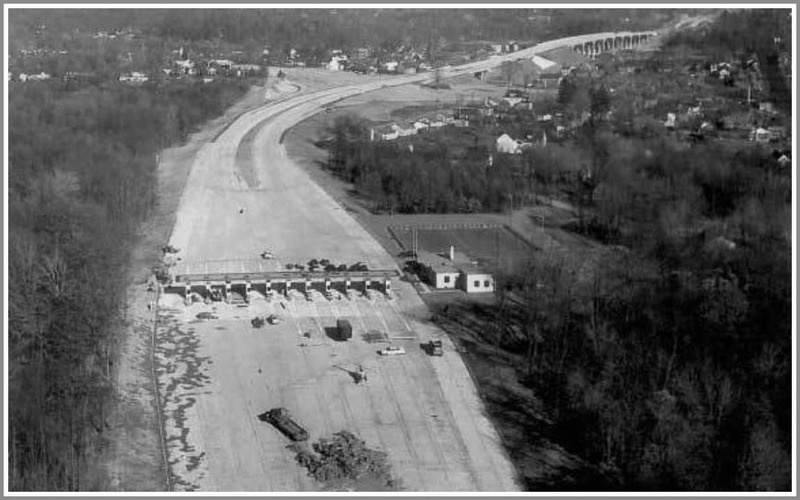 However, as Americans debate the state of our crumbling infrastructure — and what it means for our transportation future — it’s not a bad idea to look back at the not-always-so-good old days. There is absolutely no connection with this story to any current event, locally or nationally. But it’s a fascinating look into Westport’s past nonetheless. 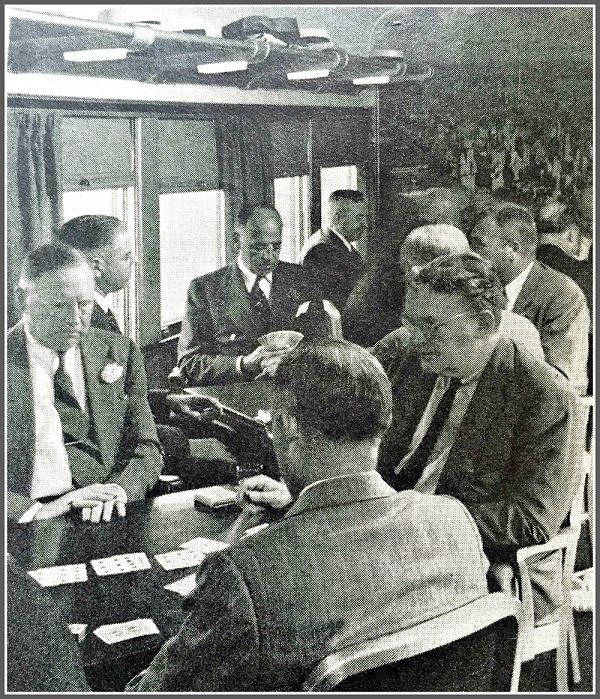 Indefatigable “06880” reader/historian Mary Gai unearthed newsreel footage of the worst train wreck in our history. 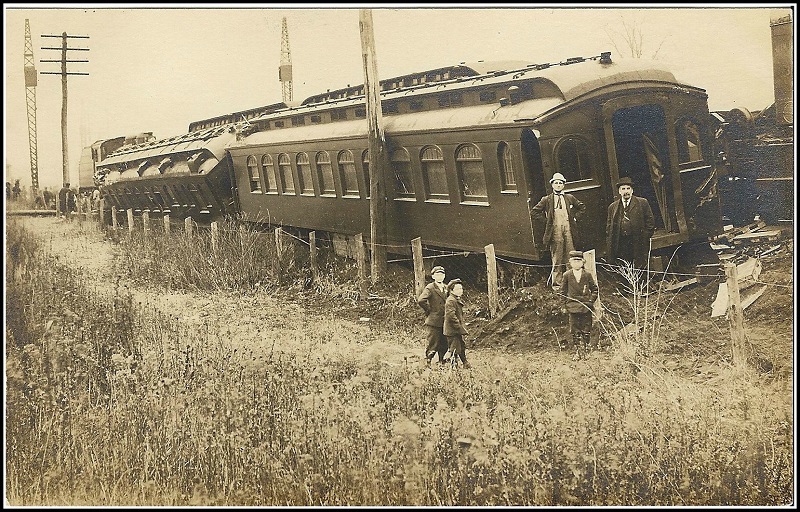 On October 3, 1912, the New York, New Haven & Hartford’s “Springfield Express” derailed near Davenport Avenue, just west of the train station. The engineer failed to slow down. 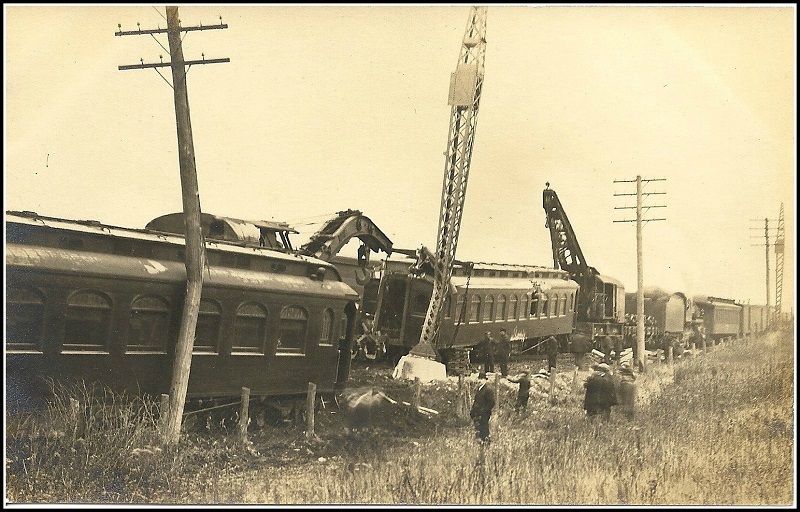 The steam locomotive derailed — followed by a baggage car, mail car, 4 parlor cars, 3 coaches, and a smoking car. Wood splintered; glass smashed — and soon the air was filled with shrieks and cries. Seven people died, and 50 were injured. Most Fridays starting at age 7, Dave Elgart took a taxi — by himself — to Grand Central. He’d buy a ticket, and board a train. His father — divorced from Dave’s mother — would meet him in Westport. They’d spend the weekend here; then Dave would return — alone — to New York. The routine continued from 1955 to 1962. That year Dave’s dad moved away. Soon, Dave’s mother moved to West Virginia. Dave joined the Navy, earned a master’s, became a partner his 1st year at Bear Stearns, and moved way up the financial services ladder. But — more than 50 years later — the pull of Westport is strong. A couple of weekends ago, Dave found himself at an industry conference in Greenwich. He lives in Atlanta now. Except for a trip to a Turtles concert at the Westport Country Playhouse, he had not returned. 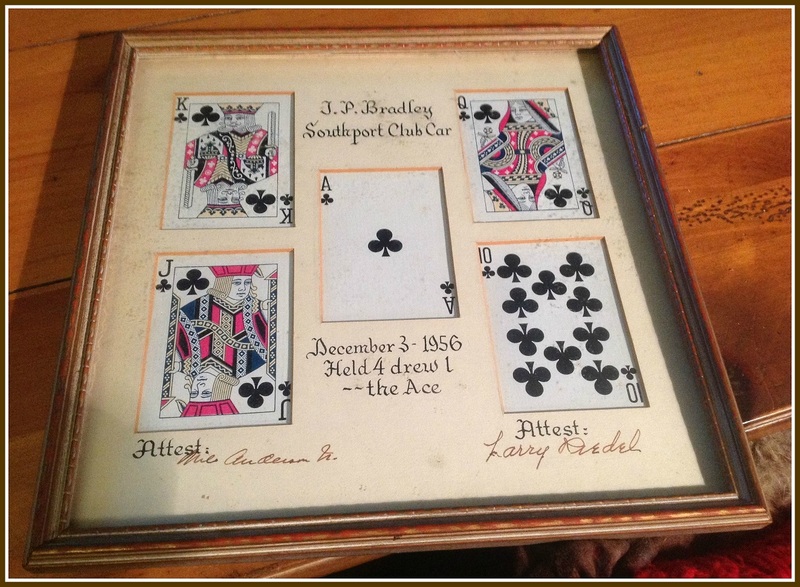 His wife Barbara had never even been to New England. So they drove up the Merritt, to revisit the town of his youth. One of the first places Dave wanted to see was a store his father had once co-owned. Called the House of Buys, it sat next to a gas station he remembered was owned by Joe DeMattia. The House of Buys lasted only a few years. The spot is now occupied by Torno Hardware. 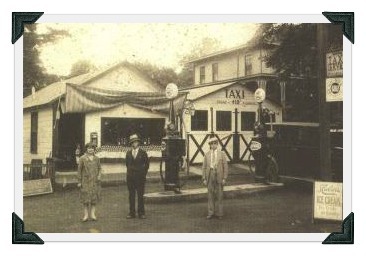 DeMattia’s service station was in business much longer — until just a year or so ago. It’s now being renovated into a Wheels store, next to Target Training. As a teenager, Dave bought his first suit at a new men’s shop called Ed Mitchell’s. That tiny spot — now a People’s bank near Planet Pizza — has grown into the the luxury Mitchells of Westport store. Dave found Jack, Ed’s son. 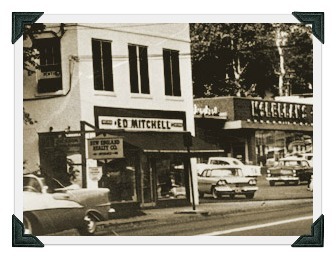 The original Ed Mitchell’s, on the corner of the Post Road (State Street) and North Compo Road. Some places remain the same. The railroad station — where he spent so much time — looks no different (though the pot-bellied stove is gone). Other places have changed. The state police barracks near the Sherwood Island Connector is now a Walgreens. There was no sign of a doctor he remembered, named Eldridge. Even Westport’s infamous drivers are “no crazier than in Atlanta,” Dave says. Despite new construction, Westport looked “bucolic” to Dave Elgart. 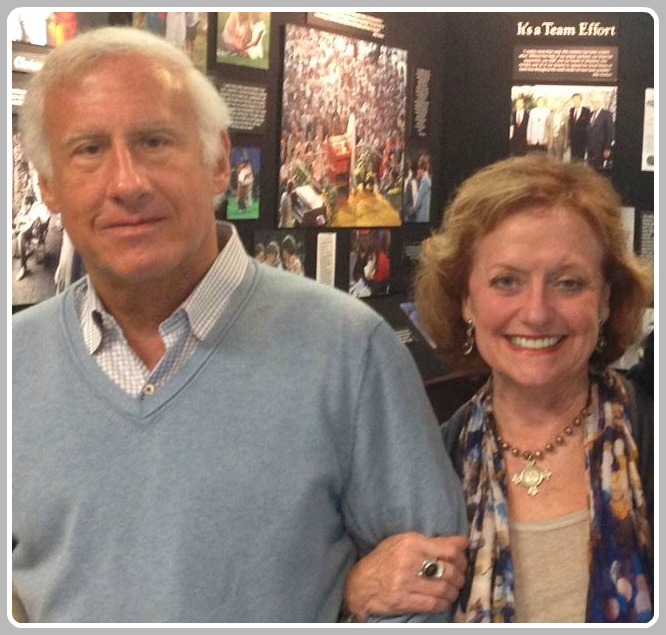 Dave’s visit was so great, he and his wife will return this spring — with friends. They’ll tour the area, and take the train to New York to see a show. It will be a reverse route than the one Dave was so used to taking, more than half a century ago. Of course, Metro-North has replaced the New York, New Haven & Hartford. But sometimes, it seems, you can go home again.